Red Jasper: Stability, Grounding, Physical Energy, Security, Life Force. 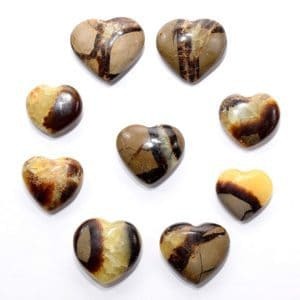 Tiger Eye: Intellect, Ambition, Personal Power, Protective. 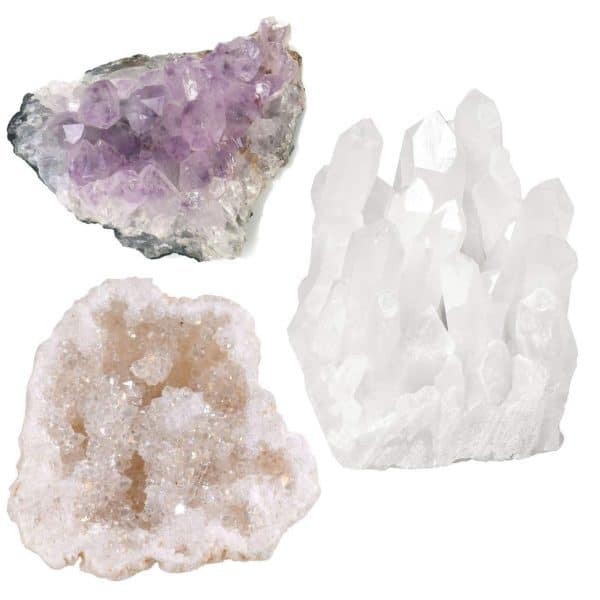 Amethyst: Spiritual Awareness, Psychic Power, Intuition, Light. 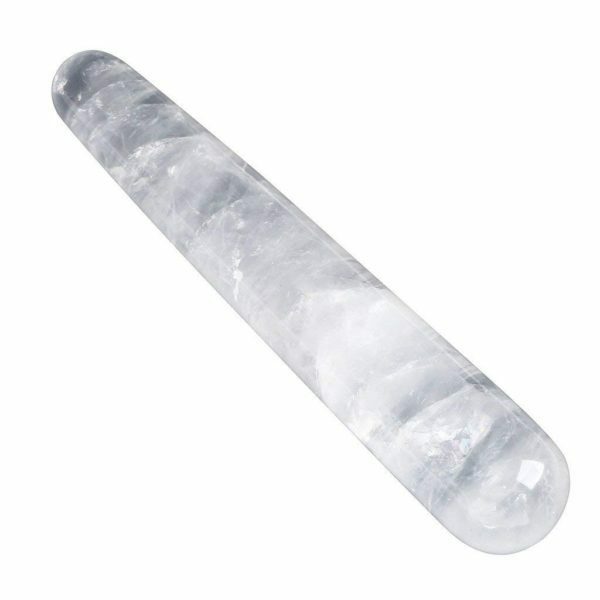 Rock Crystal Quartz: Enlightenment, Cosmic Consciousness, All Chakra Energies, Perfection. Green Aventurine: Love, Compassion, Universal Consciousness, Emotional Balance. Rose Quartz: Rose Quartz restores Trust and Harmony in Relationships, Encourages Unconditional Love. Black Obsidian: Obsidian can give us insights into what would be necessary to make change. It impels us to grow while it supports and shields us. 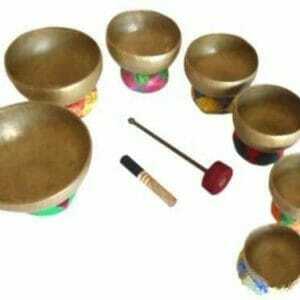 It blocks and clears negative energies and also helps to keep your thoughts positive. 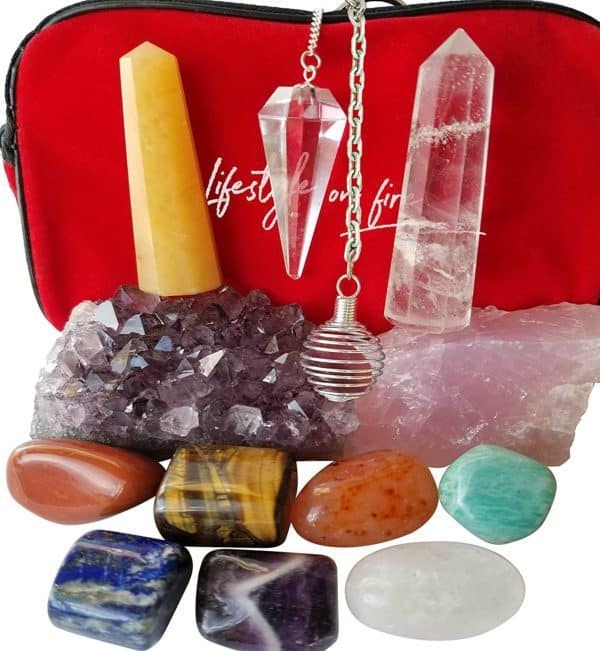 This is an incredible gift,to yourself or someone you love and will bring healing energies and benefits to those within its proximity, even if just used as a center piece or decoration! 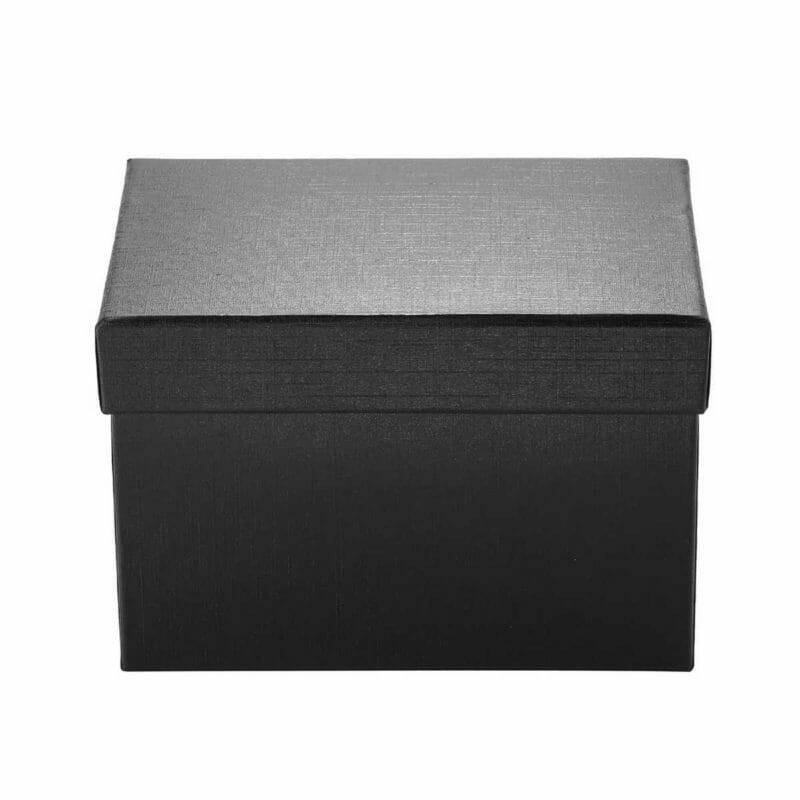 The spheres and base come packaged in a beautiful gift box. The chakras are the energy centers of our body and are located along our spine body. 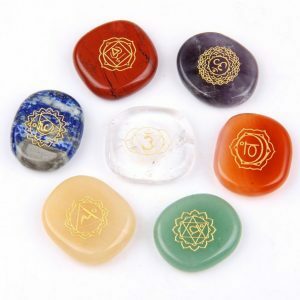 Each of the 7 chakras represents a physical, an emotional or a mental state. Having healthy and balanced Chakras is essential to enrich one’s spirit and well-being and to maintain optimal health and vitality. 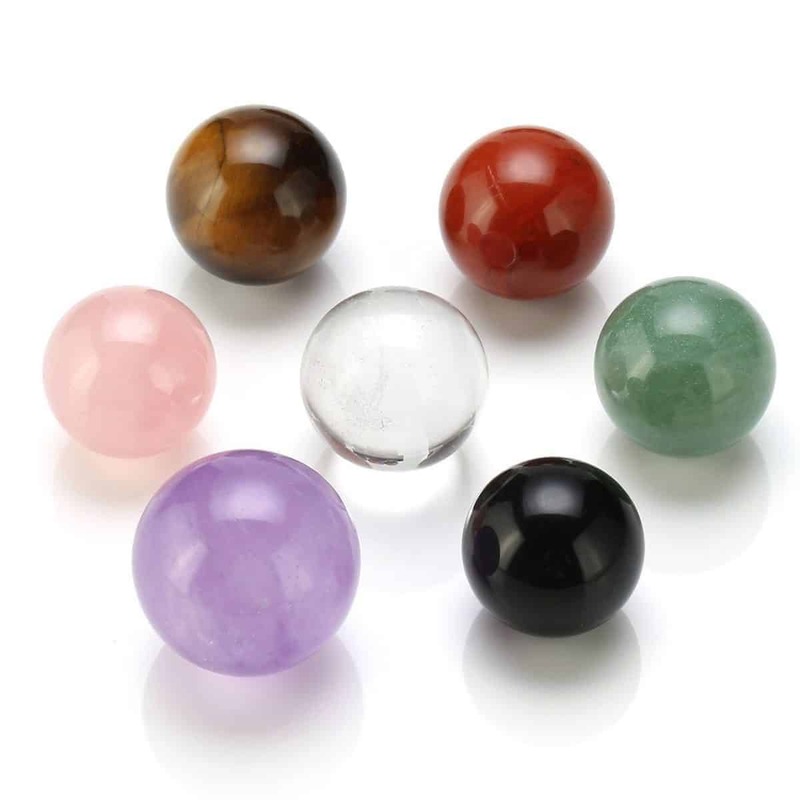 The Jovivi 7 Chakra Star Group crystals can be used on a daily basis to balance the chakras and enhance physical and emotional healing. The Sphere-shaped crystal balls fit perfectly in your hand. 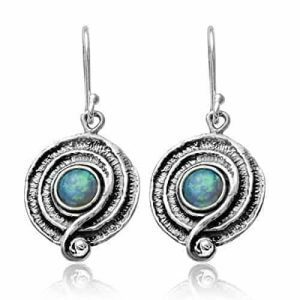 This makes them great for including in your meditations, self-reflections, or to carry as a talisman and reminder of the healing intention you seek for yourself or others. 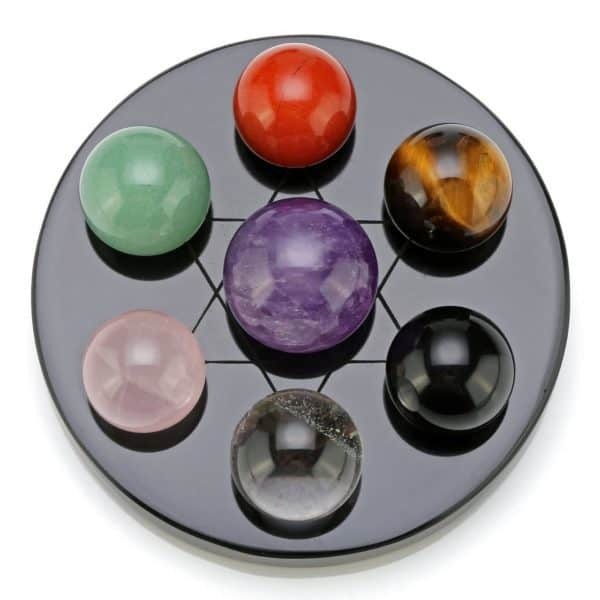 Jovivi 7 Chakra Star Group is also a great tool for fortune telling and divination. 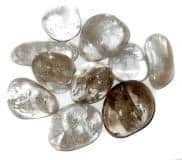 Theses crystals help to inspire feelings of love, romance and affection, for others,with others and for yourself also! 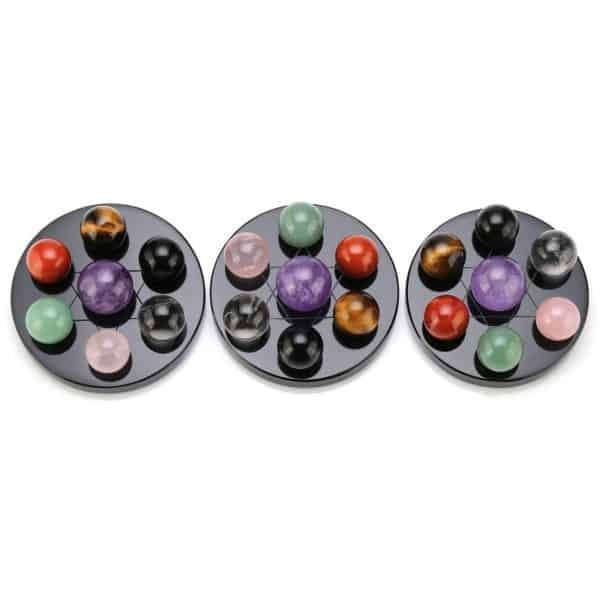 The crystal set also helps balance energies enabling better sleep and emotional healing. Perfect for Home and Office Decor the Jovivi 7 Chakra Star Group can also be used for Reiki healing, Meditation, Chakra balancing or other energy healing rituals in conjunction with a chakra wand. Jovivi Crystal Quartz set of 3 necklaces with 3 charms.